I have almost 1 year experience in blogging. I have seen many bloggers around me. And also I have experienced many situations that made me understand why some blogs fail or become success. After seeing all these i thought of writing something for budding bloggers and make them to succeed. Here are some points that you should do before get into blogging. → I have seen people start a blog without any subject and they post each and everything. Visitor cant concentrate on any one subject. So it is very necessary to have a perfect aim or subject. and most important thing is start a blog if you have passion about it. NEVER START A BLOG JUST TO SHOW OFF. → Before getting into blogging decide from what platform you can start a blog. there are many platforms like Blogger, WordPress, Tumblr, Typepad etc. But i prefer to use blogger for simple blogging. If you are pro and if you can spend some money you can opt WordPress. Get a suitable template or even make one. → After deciding a subject choose a template that suits well with your subject. You can get the templates from btemplate.com or there are lots of template providing websites. If you then just google it. Its not done when you apply that template you should make timely changes and should maintain it in correct order. If you are pro in web designing then you can even make one that suits you. After All these you must be aware of some things that takes your blog to success. • As soon as you start to write in blog, make others know about it by sharing it. Sharing in social network can give you a huge traffic. Often share your posts in Facebook, Twitter, LinkedIn, StumbleUpon etc..
Make the Visitors to come to your blog. Don’t yourself become visitor. • Nobody will get huge traffic from beginning of time. It will take its own time. Traffic from various countries is necessary to success. Don’t use fake tricks to increase number of views. 5-6 digits in the counter will not make anything. You should need high quality viewers. 1 QUALITY VIEWS IS MUCH BETTER THAN 100’s OF FAKE USELESS VIEWS. Make them visit again and again. • Write your posts such that people must like to visit this again. Always make them happy. Write unique content. • I have seen some people giving fake links with famous keywords in their posts. Google gives best place if you have such keywords. But visitors get irritated if they realize its fake. Never do that..
• Use some catchy widgets to give the visitors nice reading experience. You can get some blogger widgets in below link. But use them correct manner. Don’t turn your blog into dustbin by placing widgets everywhere. • Make people contact you by your mail id. Often reply to their comments and email queries. 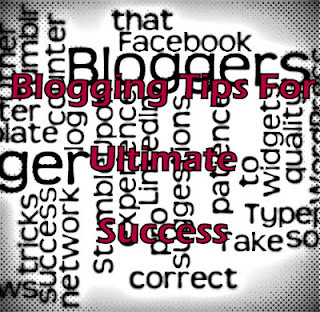 Contact other pro bloggers to get more tips and suggestions. Have a nature of accepting good. Thats all i think… I have just shared something from my experience . If have and doubts or if you think i missed any points then comment them below..